Posted in Manicures, Nail Swatches, pictures, reviews	by Jessica W.
Good morning all! It’s another chilly day here in Montana, but I’m going to warm up by baking a cake. Just a box mix, but it’s better than nothing! Today I have for you, two more nail polishes from I Love Nail Polish: A.C. Slater and Absolute Zero. I’d seen reviews and pictures for A.C. Slater, but to be honest, when I received it, I was a little disappointed. It just seemed like a flat black-brown with linear holo. But I was so wrong! Once it was on my nails, I was so surprised! It’s this warm, dark heather gray with linear holo. It reminds me a nice warm sweater on a cold day. This is two coats, plus HK Girl top coat. 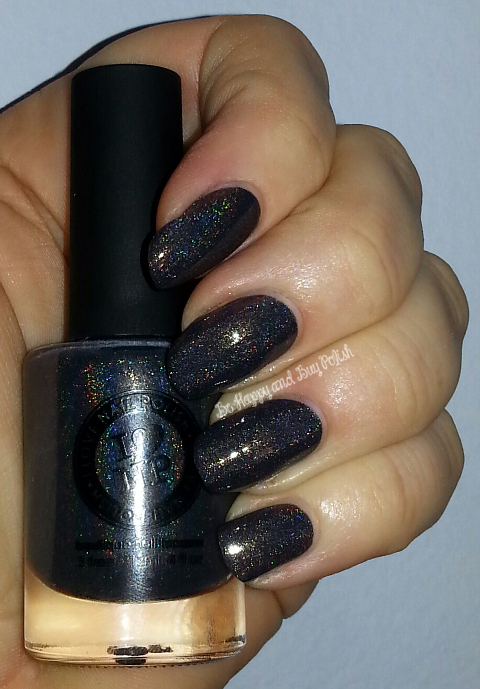 Next is Absolute Zero – I received this free when I pre-ordered three polishes. 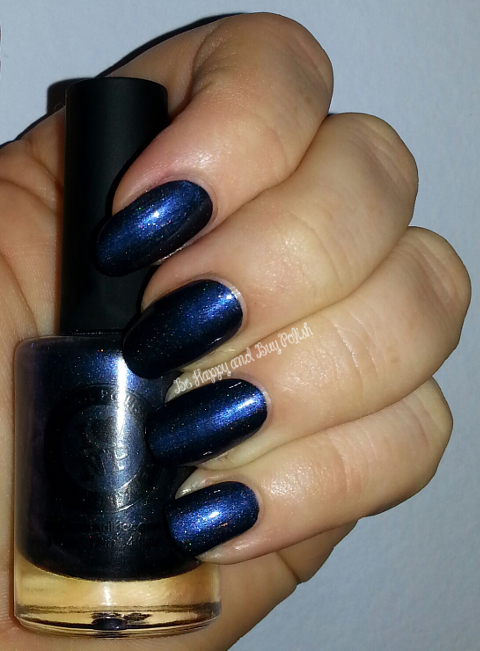 This is a chilly dark blue polish with scattered holo. I had such a time trying to capture the sparkle! This is also 2 coats, plus HK Girl top coat. You can now get A.C. Slater on ilnp.com, Absolute Zero is not available as it was a pre-order only gift with purchase. What do you think about either of these polishes? Off-topic: what’s your favorite kind of cake? I’d love to hear from you! A.C. Slater is so pretty! When I get some extra money, the first brand I am buying from is ILNP. Their polishes look so amazing! They really are, and Barbra who runs it, is seriously so good to her customers. The quality is great too! Yay! I can’t wait for you to get your order!! 🙂 You’ll be in love!